Remove any old seal packing material from the contact surface. 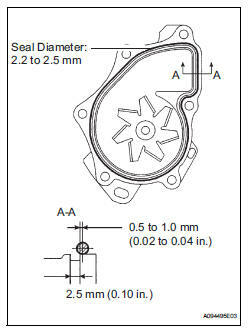 Apply a continuous line of seal packing as shown in the illustration. The parts must be set within 3 minutes after applying seal packing. Otherwise, the material must be removed and reapplied. Install the water pump and clamp bracket with the 4 bolts and 2 nuts. 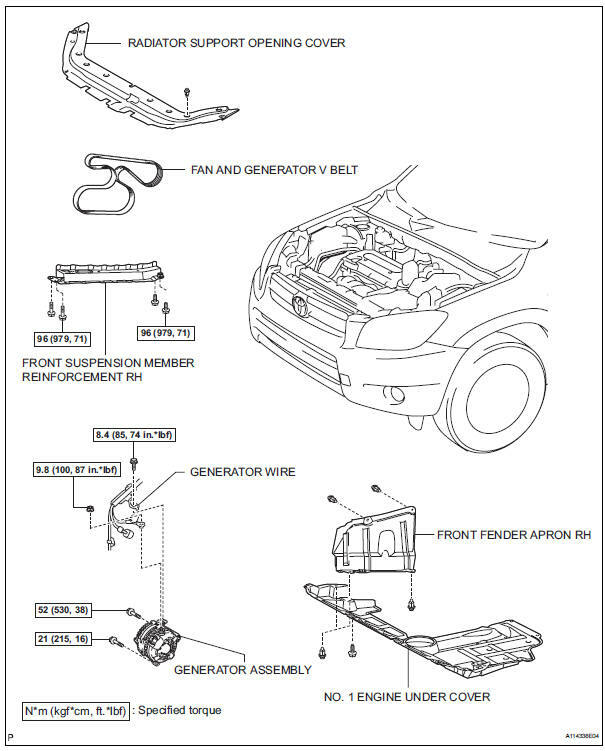 Install the wire of the crankshaft position sensor onto the clamp bracket. 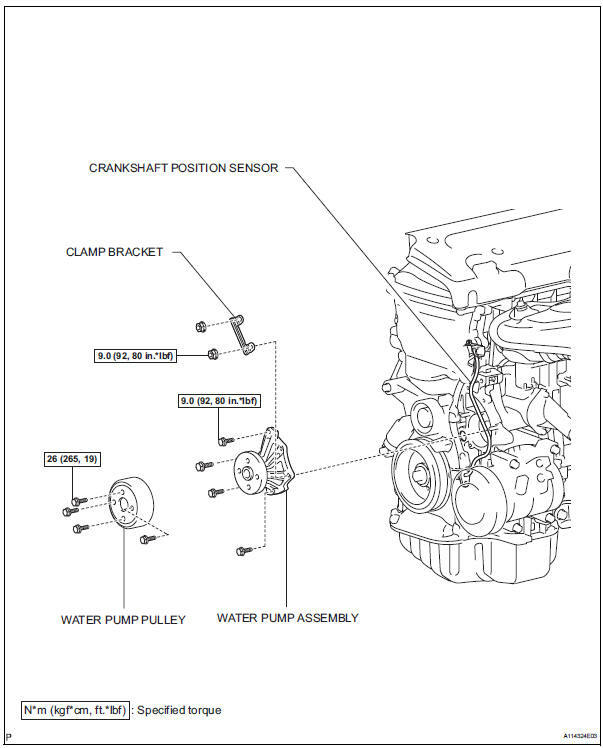 Install the clamp of the crankshaft position sensor onto the water pump. 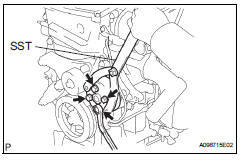 Using sst, install the water pump pulley with the 4 bolts.